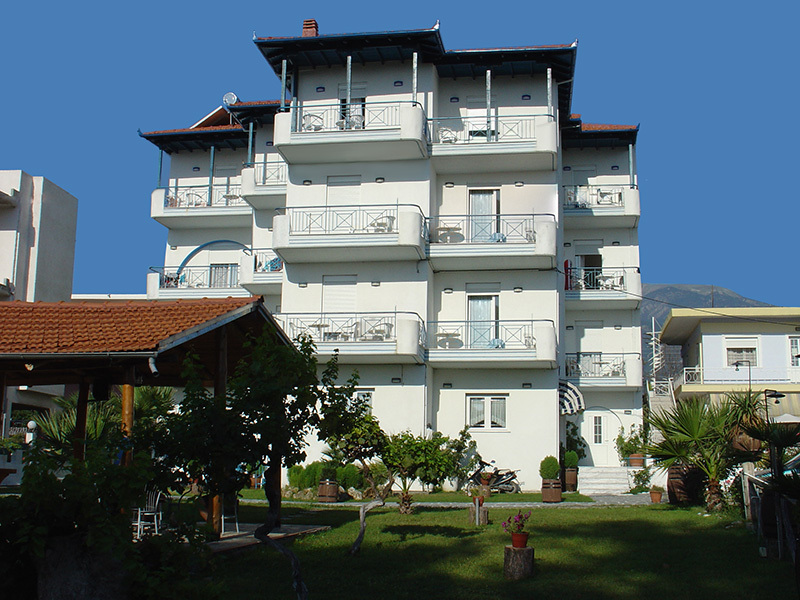 Hotel Gounos - Leptokarya (Leptokaria) - Pieria - Greece - Welcome! At the most beautiful crossroads in Greece, under the imposing presence of Mount Olympus, is the mythical city of Orpheus called Leptokarya, with beautiful beaches awarded with blue flags. 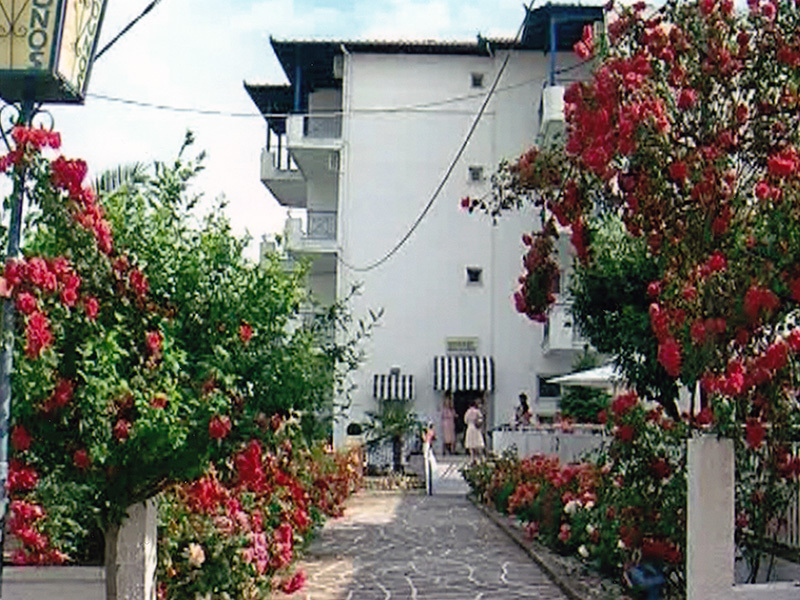 At Leptokarya beach is located the hotel "Gounos", just 50 meters away from the sea, open all year. 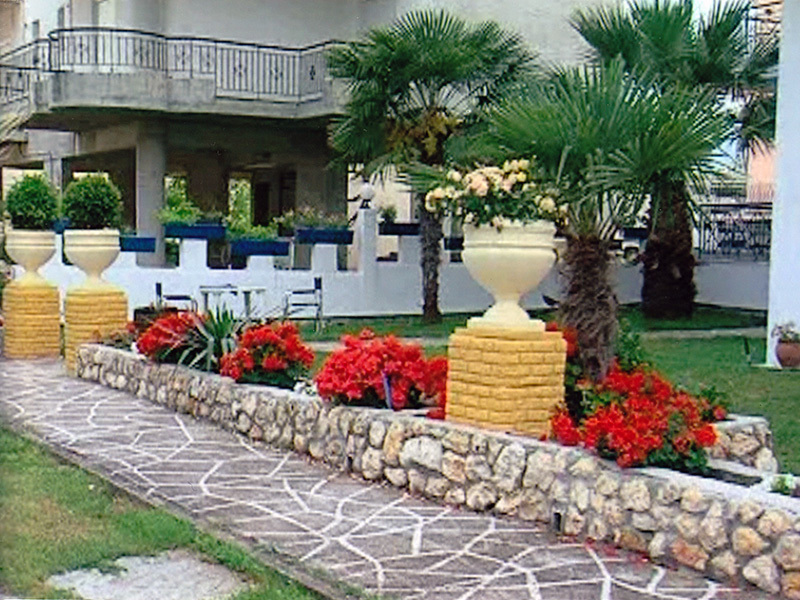 Our hotel has 22 rooms (single, double, triple), a large green courtyard with a children playground, a gazebo, a bar, a private parking, a restaurant, a ramp as well as an elevator.